Sold-out event celebrated more than 300 individuals and organizations who were nominated as champions for gender equity. More than 1,000 voters helped to select winners in seven categories. SEATTLE – April 5, 2019 – The Female Founders Alliance, dedicated to accelerating the success of highly-scalable startups led by women and non-binary founders, and Reverb, providing flexible, stage-appropriate consulting services to growing companies, partnered to celebrate gender equity champions at a sold-out event on April 4 at the Pacific Science Center. The Champion Awards were created originally by FFA to highlight the good work being done to help correct the dramatic gender gap in venture capital, only 2 percent of which was invested in women-led companies in 2018. This year, the intent was to expand to recognize champions of gender equity across sectors and identities. At last year’s inaugural event, winners included Moz CEO Sarah Bird, F-Bomb Breakfast Club Founder Megan McNally, Women in Cloud Founder Chaitra Vedullapalli, angel investors Sarah Imbach and Serena Glover, and more. At the gala, we heard from Washington Senator Patty Murray and Seattle Mayor Jenny Durkan, along with industry leaders and role models. The Advocate: The advocate is an individual or organization who uses their public platform to promote and advance women’s causes. The Company: This organization has created a work culture that supports and advances women, forging meaningful outcomes for its employees that run counter to what’s typical in its industry as a whole. The Founder: The founder has persevered in the face of adversity to launch and grow a business. This is a peer award that was voted on by the members of the Female Founders Alliance. The Investor: The investor has literally put “their money where their mouth is” when it comes to investing in women- and non-binary-led businesses and helping founders succeed. The Role Model: The role demonstrates what is possible for ambitious women. She is someone with a long trajectory, demonstrated integrity and leadership in her field, who inspires other women to strive for greatness. The Sponsor: The sponsor leverages their network and resources to help the women that they mentor advance and succeed in their career. The Champion Awards event was sponsored by Seattle Bank, Simplicity Consulting, Washington Technology Industry Association (WTIA), UPS, Fuel Talent, Bank of America, Seattle Office of Economic Development, YWCA Seattle | King | Snohomish, and the Pacific Science Center. In-kind sponsors included: DRY Soda, Nuflours, Omnummy and P Squared Events, Stoup Brewery, and GT’s Living Foods. KUOW and Geekwire were media partners of the Champion Awards. 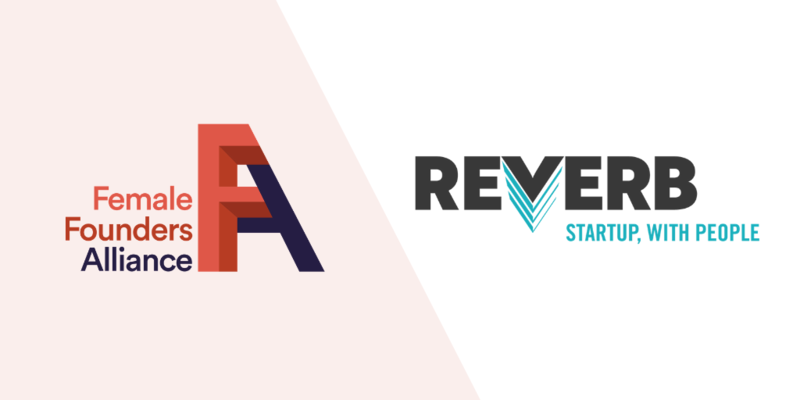 Reverb is a Seattle-based HR consulting firm that provides flexible people operations to startups and scale-ups. We begin every engagement with a Compliance to Culture Assessment to help determine what you need and help you prioritize. From hiring your first employee to developing new managers and coaching executives, we’ve got you covered. Our purpose is helping companies create healthy, inclusive cultures that engage and inspire employees. Reverb is a certified woman owned business. Learn more at https://reverbpeople.com/. Follow @ReverbPeople, https://www.facebook.com/reverbpeople/ and @SeattleHRCollective. FFA is a community of women and non-binary startup founders and CEOs, and the community that supports them, who work together to help each other succeed. They envision a world where women have a truly equitable chance at leadership. The Alliance’s mission is to create an investable pattern of success among female-founded, female-led startups by connecting every female founder in North America, focusing on business-accelerating actions, and incentivizing all founders in the network to amplify and accelerate each other’s success, thereby achieving exponential results. Learn more at www.femalefounders.org. Follow @2point19, https://www.facebook.com/femalefoundersalliance/ and #FFAChamps.